I’ve been a long time Pinterest user personally. I discovered Pinterest whilst procrastinating on my final year at university and have been obsessed ever since! 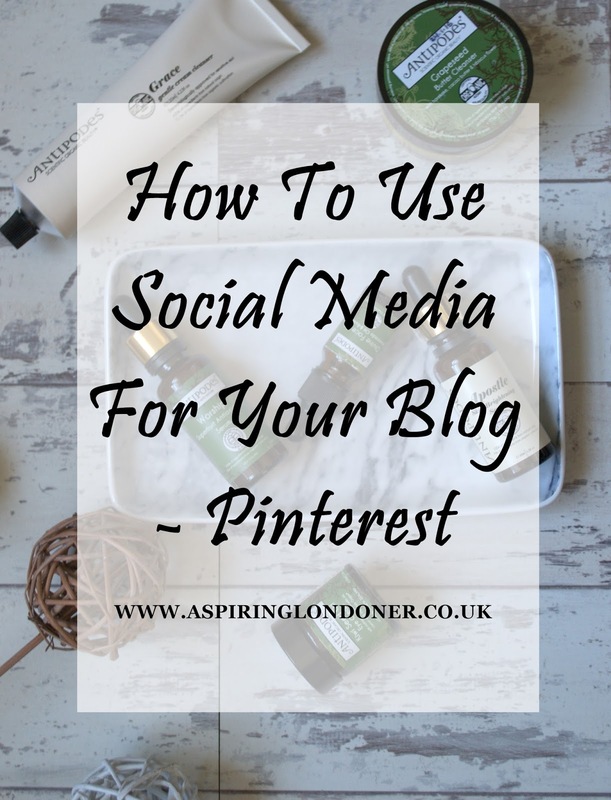 However when it came to using Pinterest for blogging, I’ve been surprisingly quiet. The reason for that is simple, I didn’t know how to! It’s one thing pinning away for cake recipes, decor inspirations and the quotes, but quite different pinning to widen your blog reach. I do have a Pinterest business account for my blog, but it’s just not massively active. I recently attended a workshop with Sparkle Communications on Pinterest as I wanted to use Pinterest more for my blog, so I wanted to share some advice with you guys that might help you too! If you’re using your Pinterest for your blog, make sure you’re using a business account. Why you ask? Well, amongst other reasons, it allows you access to Pinterest analytics. This little feature enables you to see more information about your pins, similarly to what Google Analytics does for your blog. Although it’s not the most accurate out there, it’s better than having a personal account. It’s simple to convert your account type to business account. Log in to your Pinterest account and then visit the Pinterest Business Section where there is a big red button to convert your existing account to business account. If you have a business account, rather than having to enter your blog name as First Name: Aspiring Last Name: Londoner, you can just set it up as Aspiring Londoner. Once you press the big red convert button, it’ll ask you more information about the type of business you are and allow you to edit your business information. If you don’t have a Pinterest account at all, you can start one up as a Business account. You then need to verify/confirm your website with Pinterest. This is simple to do – visit Confirm Your Website section and copy the meta tag code and paste in your blogger template coding in the ‘header’ section and save. Then Pinterest will be able to give you better analytics data, such as which images and what is being pinned from your blog by others! Nicola from Sparkle Communication says, the more boards you have the better. Why? Because Pinterest is more like Google, than it is like Twitter. i.e. you shouldn’t think of it like a social media platform, it’s more a visual search engine. This is probably the hardest thing for most people to get their head around. If you think about social media, it’s fast – so Twitter/Instagram, things are constantly moving further and further down the page so it gets ‘lost’. Whereas resource always exists in search engines, and you find them when you search for them. The best way to think of it –personally I always search for hair inspiration before I visit the salon. So I’ll search for something like ‘2015 hair style trend’. So I am using Pinterest like a search engine. Therefore, it makes sense to pin items in a way that makes it easier for the search engine to find. This is precisely why, the more specific boards you have, the higher chances your boards will show up on people’s searches. Instead of having a board for Desserts, have separate boards for Ice-cream, Cake, Custard – you get the gist. This is the description at the bottom of your pin image. The biggest mistake people make when re-pinning is not editing this text. Ensure you edit this text and put a description fitting why it’s useful to you and your followers. Tying in to my previous point, the more detailed, specific and informative your pin descriptions are, the better chances pinners searching for similar things will find them. Like a search engine, Pinterest searches your pin descriptions to show relevant search results to pinners. So make sure you’re really putting some thoughts into this text box. I’d say take this with a pinch of salt. Like anything else, no-one know exactly when the right/wrong time to post is. There are a lot of websites out there who has collated information on user habits and determined that certain times may be better than others. The general consensus is that the best time to pin is between 2pm – 4pm and 8pm – 1am; and the worst time is 5pm – 7pm. I can understand the worst time as a lot of people will be commuting or get home from work around those times and pin a lot. So most likely your pins won’t be at the top of your followers feed. I’d say post at various times and see what interactions you get! Hashtags has no place in Pinterest – they don’t add value or ‘work’ on Pinterest. Don’t just pin your own blog images; share other relevant information from other resources. It's a form of social network - you need to interact to be seen! Don’t pin 50 images at the same time, as your followers might get annoyed if their homepage is filled with your pinned images. Pin a few, give it some time and then go back if you need to. Pin consistently. There is no point of having 150 boards with 2 images on each of them. Try to create a real collection that people will make people want to follow/share your boards. Portrait style images are better for Pinterest than landscape. The reason being most people use Pinterest from their mobiles/tablets – so it’s more suited to the size of the device. Add a Pinterest widget to your blog to encourage readers to connect with you. Don't aim for followers on Pinterest, it's more about interactions. Competitions asking someone to pin something specific are against terms and conditions and Pinterest run a 3 strikes and you’re out of the system. Do you use Pinterest? Leave your Pinterest link in the comments below or tweet me @aspiring_london! Here's my Pinterest if you want to take a peak!